Since the lot is without a water, sewage or electrical hook-ups, the city made the decision out of deference to public safety. City crews began clearing the campsite for the homeless near Santa Rita Park Tuesday. 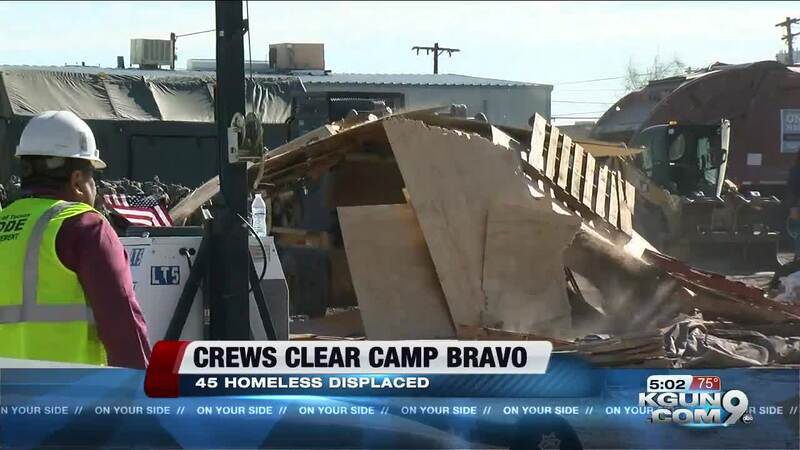 The vacant lot known as Camp Bravo has grown into a place some 45 men and women call home for the past three years. Last week, the city gave the owner of the property a notice to vacate. A city spokesman says there were numerous code violations and complaints from neighbors. Since the lot is without water, sewage or electrical hook-ups, the city says they made the decision out of deference to public safety. Since the notice was posted, social welfare workers and other homeless advocates have been helping those that lived there transition to new accommodations around the city.